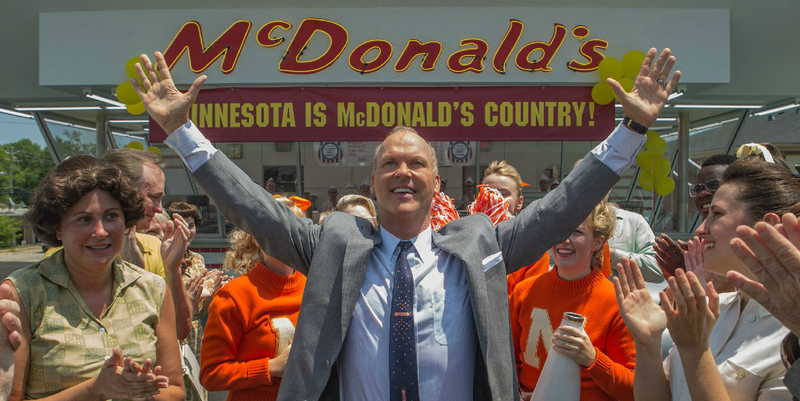 I’m very familiar with seeing product placement in films, but the recent release of The Founder (like Saving Mr Banks a few years back), tells a story about a well known brand, rather than just featuring a brand. The story starts with a couple of brothers reinventing the dining experience in early 50s America, but takes a turn when the character of Ray Kroc stumbles upon their innovative way of speeding up the delivery of freshly ordered food, whilst being obsessive about consistent product quality – something truly unique back then. I really took to the two brothers who effectively started the whole McDonalds thing. But over the course of the film we see how the modern McDonalds was really the creation of the very driven Ray Kroc. It’s debatable whether having seen the film it will change your opinion of McDonalds. It’s a brand that tends to polarise opinions, so it might just reinforce the opinion you already hold of the company. However at the very least it made me realise that the idea at the heart of the business came from two very likeable, down-to-earth brothers who had a vision based on delivering a great product and were genuine innovators in their field. If they were British we would have put up a blue plaque in their honour.